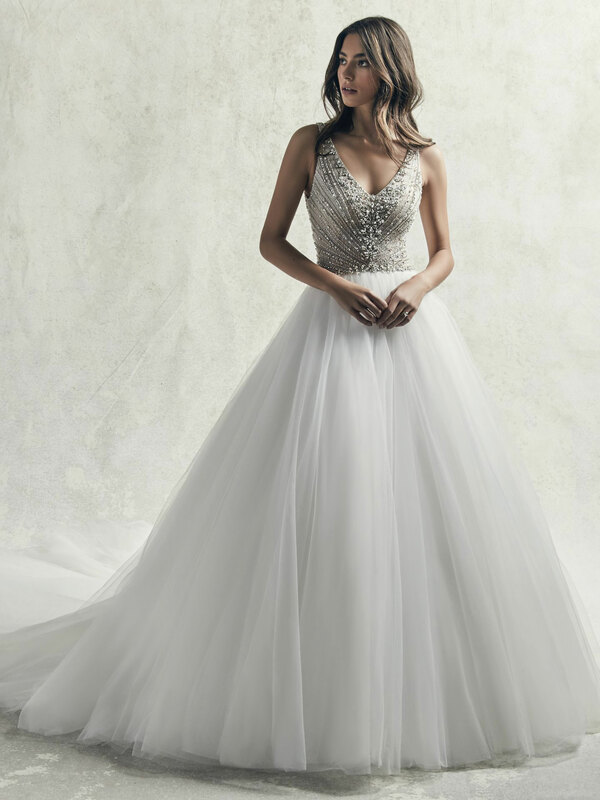 A princess inspired wedding dress with boho details. 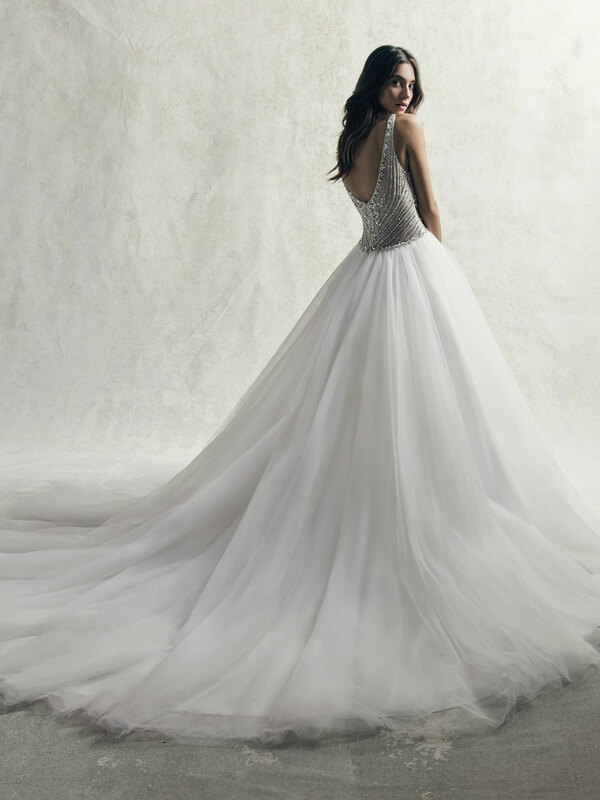 This ballgown features a sheer beaded lace bodice accented in Swarovski crystals atop a Shimmer satin skirt. Beaded spaghetti straps glide from a V-neckline to scoop back. Finished with crystal buttons over zip closure.